Designing and building a house is suited to a Waterfall project management methodology. Designing and developing software is more suited to an Agile project management methodology. Lisa Belfield on the PLANE team added some PLANE goodness to the office the other day. 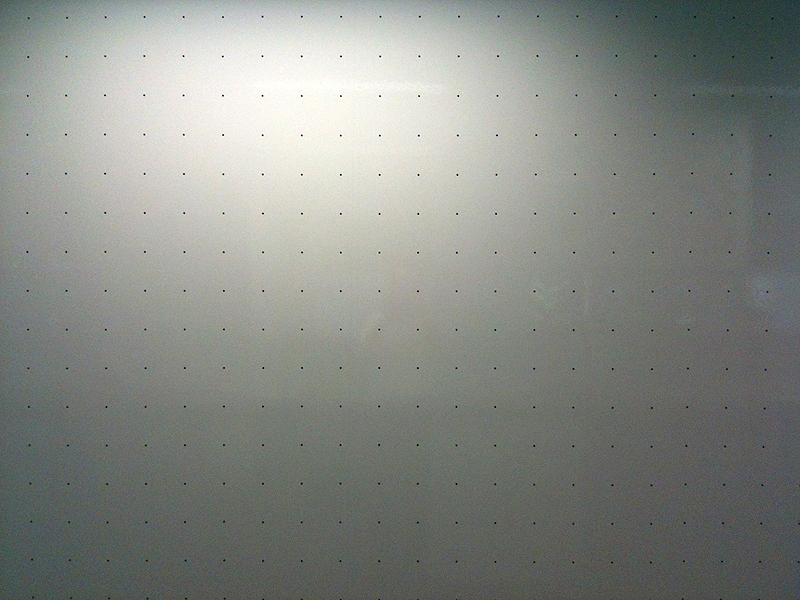 She stuck one piece of paper for each of the PLANE team members onto the huge white project wall. She also Blu-tacked some pens next to the sheets of paper for people to write good things about their colleges. The office morale just went up a few notches. I felt so inspired by her that on the train ride home that day I thought about my work mates, the interactions we have, how they have helped the project (their super power) and what they mean to me. And then I came in early the next morning and wrote and stuck artefacts on the sheets. I had looked around my house and found objects that expressed my interactions, respect and what I had learned about my fellow work mates. I work with a very cool bunch of intelligent and creative peeps! 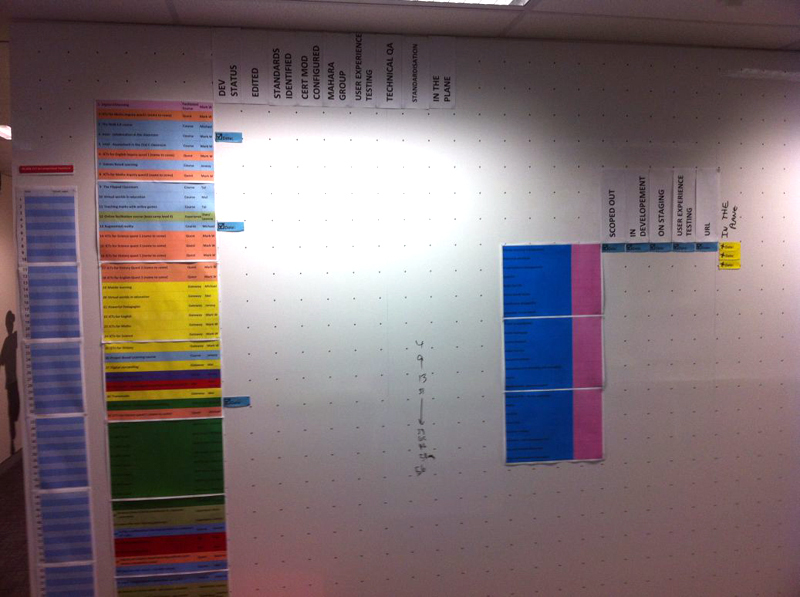 PLANE team – Wall of Love! 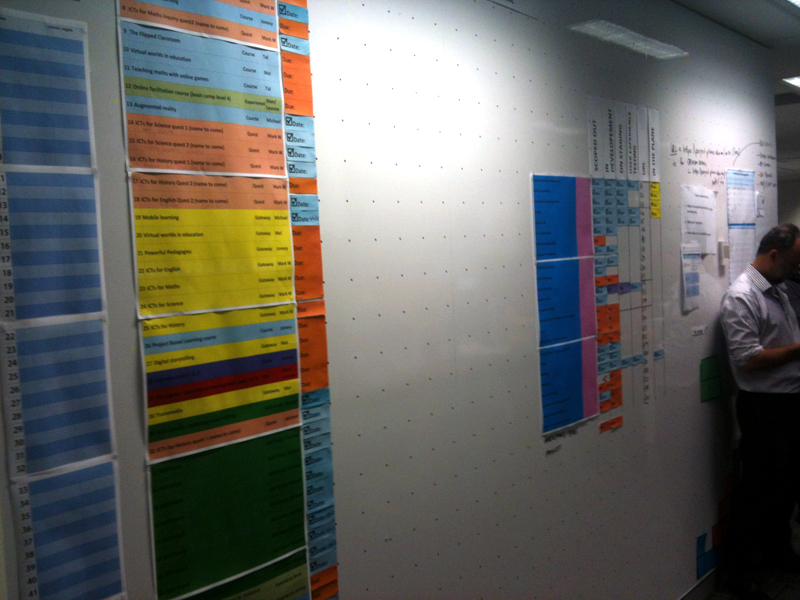 Lorence our project manager at PLANE has been utilising one of the office walls in a very effective way. The PLANE Wall of Truth also known as the Great Wall of Parra. It has project deliverables, milestones, status of work packages, links to wiki pages all colour coded and all in one birds eye view. 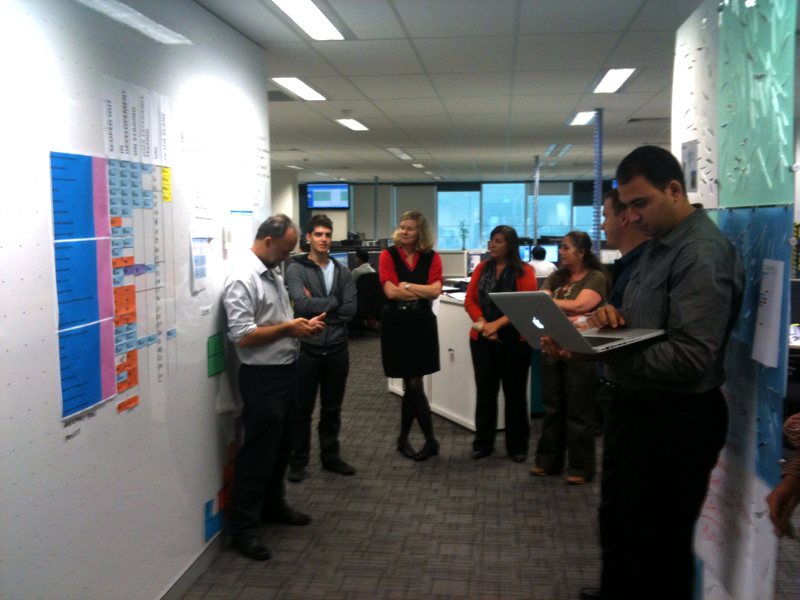 We have our daily stand up meetings around this wall. What a fantastic addition to managing a large project. 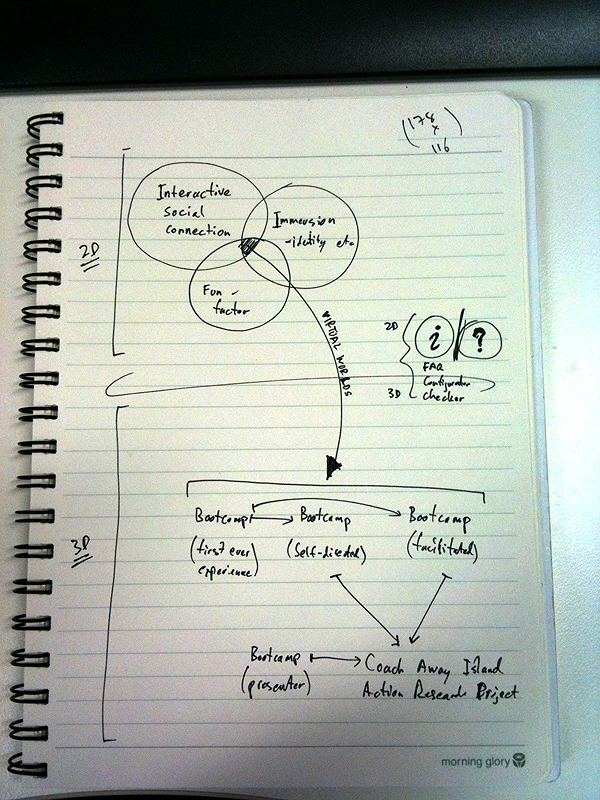 A conceptual view of the tweaked Bootcamp experiences and the overall PLANE virtual world experiences based on feedback from past and recent trials. One of the walls in our office. This plain looking wall has so much potential. Lorence has a brilliant idea to use this for displaying the PLANE project timeline.